Your big event is approaching, and you are wary of whether all your effort, months of coordinating the little details, all the communication would finally bear fruit. It is no doubt daunting and with a bit of planning and organization, you could be ready to handle any scenario. As with all significant events and the investments that go with it, you need to plan for your ROI (return on investment) and managing the brand perception of the event. It is all about planning. You need to design and finalize the booth layout, assign and train your resources, and organize the logistics. All of this takes considerable time. Give yourself at least three months. One of the things that you should not leave for the last is your hotel booking. At least book your slot of rooms ahead of time. 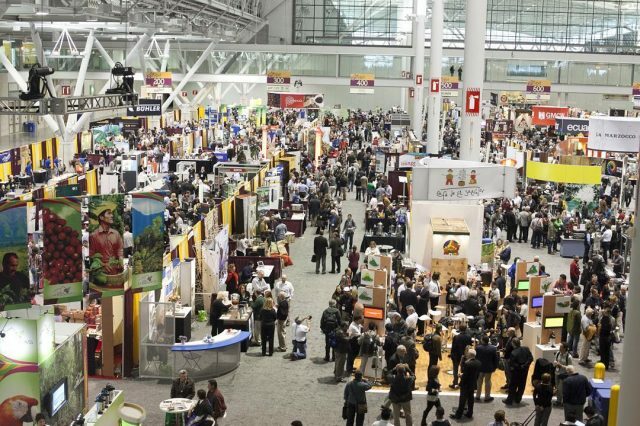 Reservations of hotel blocks for a trade show tend to be sold out quickly. In addition, prices also rise as the show dates approach. With all big events, there is a potential threat to things going wrong. It is good to go with the assumption that all possible things could go wrong and organize things accordingly. Therefore, instead of planning for everything, get things organized and accessible, especially critical pieces of information like phone numbers, vendors, trade show details, and tracking numbers. Keep them stored on mobile devices with possibly one or two additional backups. The show on the floor determines the perceptions people carry back from the trade show. To excel at the show, it is important to train people who would be on the level. Inform them about the objectives that you seek to achieve, about working on potential leads, and tracking practices that need to be followed. Most importantly, train them on delegation. Though one of them would be in charge, it does not mean that the person in charge does everything. More so as the event day may seem like a blur for the people on the floor, it is essential to delegate and success is always a team effort. These are the essential tools for your show. Ask any experienced event manager and most would recall the hassle they went through when booth pieces go missing. It is always good to have a template, with appropriate logos or signage and if you prefer a trade show that has the right impression with custom booth display, have them tagged securely and labeled clearly with the contact’s business card. In addition, prepare a checklist of kit items that need to accompany the booth. These are supplies that would be essential for the show. These could be standees, required stationery, hand-outs, supplies for staff like medicines, presentation kits, business cards, etc. Leads are your potential business and the reason behind your participation at the trade show. You cannot afford any laxity, and you know all points are not equal. On the floor, you must take quick judgment calls, and these are not possible to plan for on-the-fly. For this, you need to decide on your lead qualification parameters ahead of time. Have a methodology and question set ready that helps your booth managers decide on the time to be spent with a lead. If possible, automate your flows for tracking leads easier. In the end, compile the list of leads and the survey results and create a follow-up plan. Appearances matter and you need to make your staff aware of the importance of meet and greet. You need to be at your booth ahead of the start time, ensure cleanliness and make sure that staff is briefed again about expectations and targets. Keep the team aware of progress and ensure that staff is always engaged with business visitors. Control everything happening at your booth and ensure that visitors leave with an impeccable impression of your professionalism.